After an intense cycle down between Beyonce and Rhianna in my SoulCycle class, my friend and I ended up at Kraft Bistro in Bronxville to grab a bite to refuel our bodies. We were drawn to the little place for its menu of Afghani lamb offerings. I love the Afghani cuisine and anything lamb. 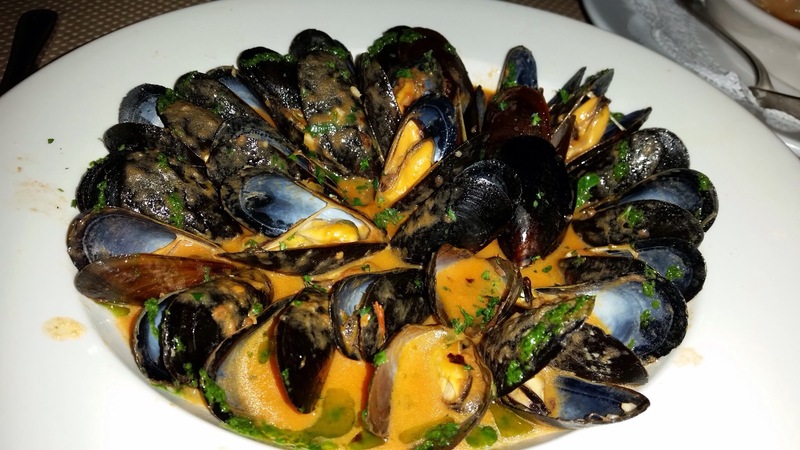 Fragrant Mussels: Scallions, shallots, sherry vinegar, spicy marinara sauce. This was interesting…I would not use the adjective of “fragrant” because both my friend and I noticed an odd smell on the mussels. It’s similar to the funky smell that I experienced with the Reef Restaurant in Forest Hills, NY. Lamb Kofta Kabob: Afghan spices, choice of mixed green salad or saffron rice. Kraft calls itself an “intimate, candlelit eatery showcasing eclectic Mediterranean-New American food for brunch & dinner.” It’s intimate all right – I could barely see my food. 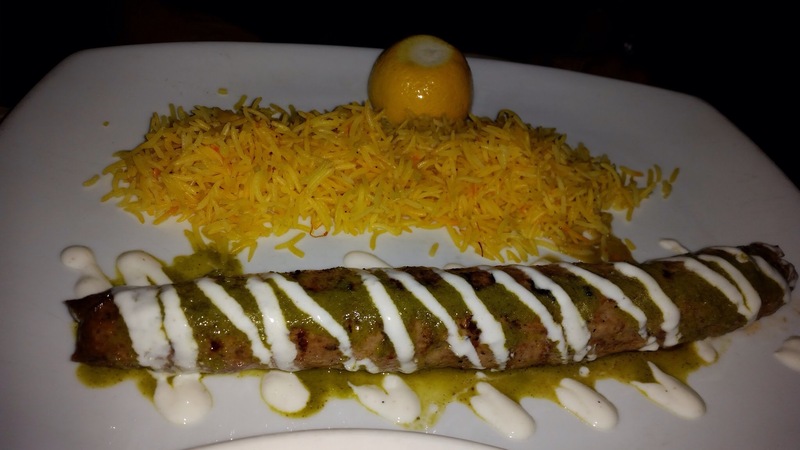 Once I saw the Lamb Kofta Kabob… A brown cylinder with green sauce and white yogurt drizzled on top. It was not aesthetically pleasing and unfortunately the lamb failed to deliver on the taste for my friend. In comparison, I thought it was all right. The meat was not dry and the saffron rice was acceptable but the plating was eclectic. What’s half a lemon doing there? 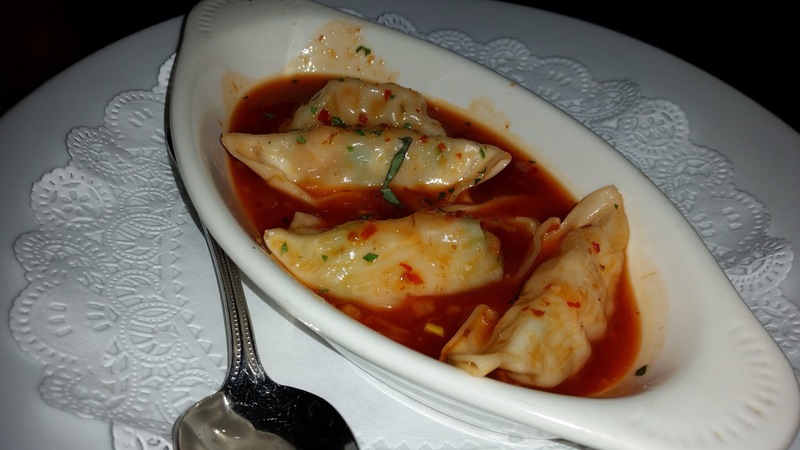 Shrimp Dumpling: Garlic, ginger, chopped scallions, Thai chili honey soy sauce. This was lovely but I did not think this was Mediterranean nor New American. This tasted exactly like something I can get from Boa’s Chinese Cuisine in White Plains. It is double the price here. Nowadays restaurants take a lot of liberty in categorizing themselves and innovating dishes (stealing from other cuisines). It really is ok to be creative but they should just called themselves New American with an Afghan focus. Let’s be honest and credit the source when one plagiarizes. 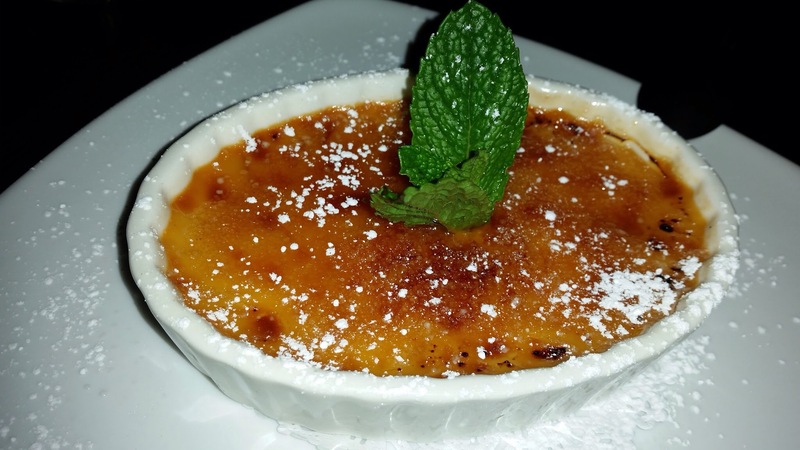 Crème brûlée: And this is definitely not Mediterranean nor New American though I was glad to see this dessert on the menu. French has the best dessert in the world! I would not go back to this place. Although the food was average to good, I don’t like restaurants that have confused identities and darkly lit space. If it is a melting pot like the demographics of the US, then be proud and own up to being a fusion restaurant. This Mediterranean New American approach annoys me. I cannot believe they got positive reviews from New York Times and Journal News.